Discussion in 'Sim Racing Systems & Troubleshooting' started by KoAStR, Jan 31, 2011. Have now had a few weeks of racing and no additional mods/tweaks or changes so this is how it'll stay until my DD2 arrives. Bogor, Sam D Blacklock, Peter Wise and 6 others like this. Spidey_11 and KoAStR like this. Is the rift sensor just sitting on top of the upright? Any issues with it vibrating from the ffb of the wheel? 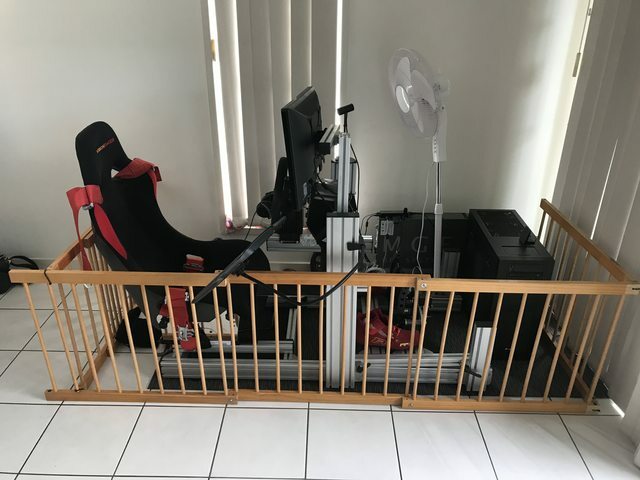 Does anyone use the GTUltimate TV/triple monitor stand? I've just bought one, wondering if it'll work with my 58" screen, it says up to 55" but I'm wondering if it'll make any difference. 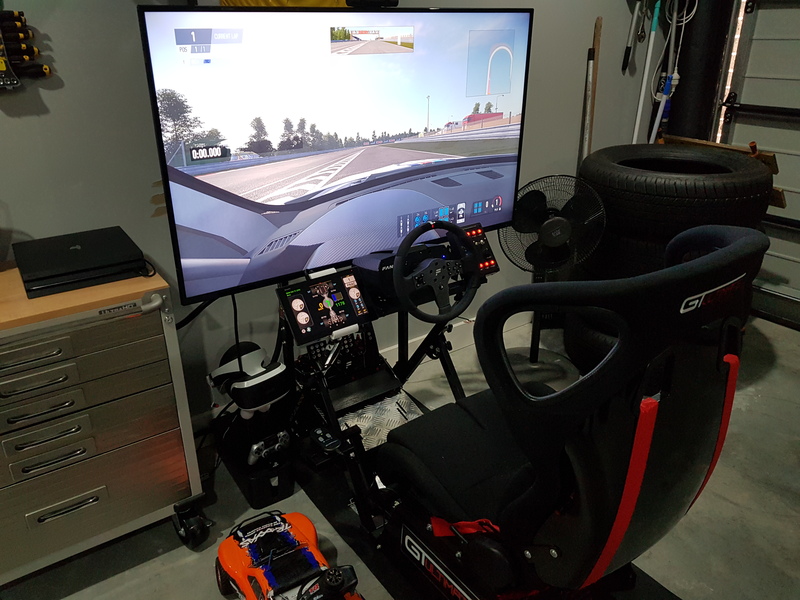 I've been tinkering with the idea of adding a solid wooden base underneath my rig, screwing the rig down to the base and adding casters so I can move it around in the garage when needed. If you do end up building the frame and casters would love to know how you go. I would say it would depend on the TVs mount holes and weight. I tried to put my 63” plasma on my F1/GT monitor stand, but the mounting holes were too far apart for the brackets to be installed. yeah I figured as much as well I've got a mount from my current setup that I'm sure I can modify to get the job done. Mine was an older TV though, we have a newer 65” in the lounge and the brackets WOULD have fitted that. I ended up putting the 55” on it though. Hopefully it just lines up nicely for you. Finished work early, checked the tracking number and noticed that the tv/monitors stand was just around the corner in the Toll depot. Picked it up and now I'm on my way home to beer, pizza and an empty house as the wife and kids won't get home until late tonight. Ozglenn, Easyprey007, Jurassic Mark and 4 others like this. haha... the best Fridays are those! Enjoy! What do you reckon? 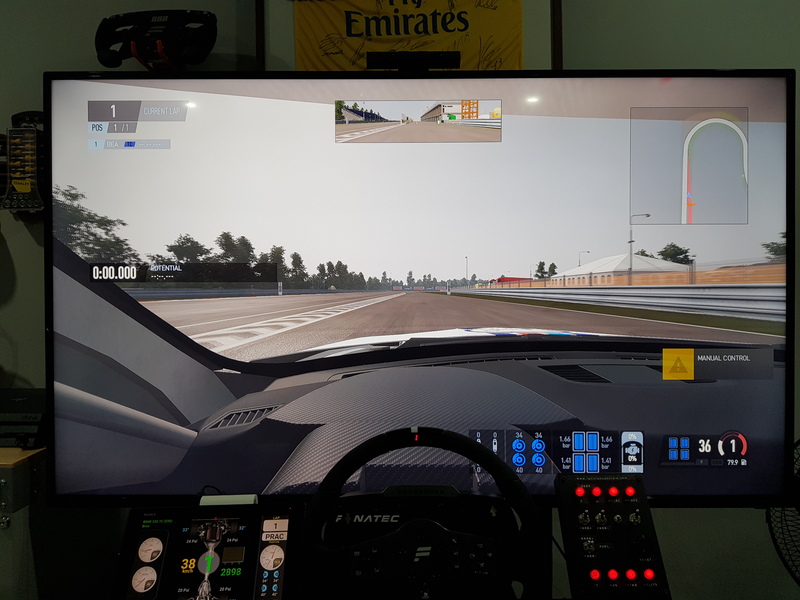 I need to change the FOV as it's set on its widest setting at 120, once it's down to 90 or so the wheel should fit the car a bit better I think. I had to add some spacers between the top of the mounts for the tv to give it a nicer angle as the tv screen was facing slightly upwards at first but other than that it all went really smooth as did the beer and pizza but the wife is nearly home so the dream is coming to an end. Peter Wise, Spidey_11, KoAStR and 2 others like this. 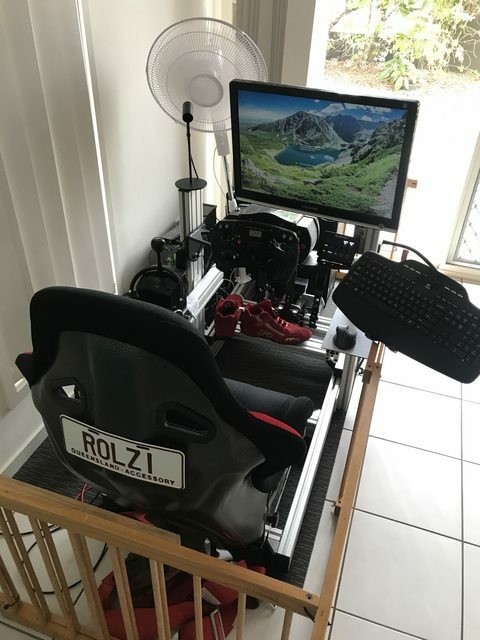 Cheers lads, does anyone know whether fanatec australia have black friday deals usually? I’ve heard. What are you chasing? There's a big BF sale in US and Europe every year with some good bargains to be had. It depends on what's available but I'd really like a round rim with QR (BMW, Porsche etc) and a shifter.